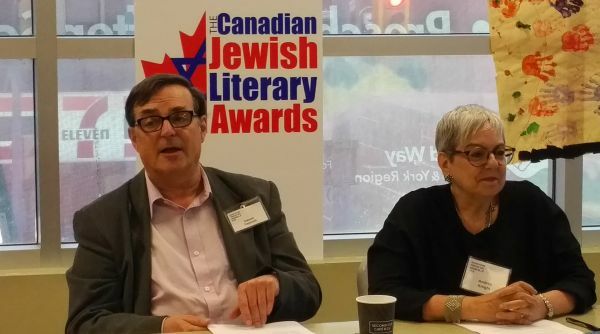 The Canadian Jewish Literary Awards will again acknowledge excellence in writing on Jewish themes and subjects by Canadian authors. The Canadian Jewish Literary Awards invite you to submit any books on a Jewish theme or topic. The author must be Canadian but need not be Jewish. 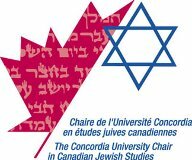 The Awards celebrate excellence in Canadian writing on Jewish themes and subjects. They recognize the outstanding achievements of the winning authors with significant cash prizes and public recognition. We will accept books published between May 1, 2018 and May 31, 2019. The submission deadline is April 30, 2019. Books published between May 1, 2019 and May 31, 2019 can be submitted until May 31, 2019. The awards will be presented at a gala ceremony at York University on October 27, 2019. 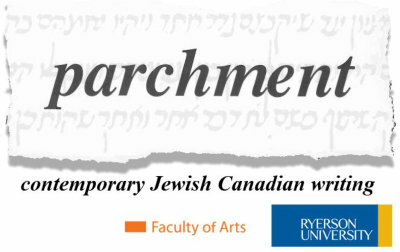 We invite you to submit any books on a Jewish theme or on a Jewish topic by a Canadian author. The prizes will continue the tradition of recognizing the best books on Jewish subjects by Canadian authors, who need not themselves be Jewish. Previously submitted titles, new translations (except from Yiddish) and reissues are not eligible. Fiction: novels and short story collections with Jewish content. Scholarship: books of original research that contribute to Jewish knowledge. Biography/Memoir: autobiography, personal memoir or family history The subject must have relevance to the Jewish experience. Poetry: books of verse including significant Jewish content. Holocaust Literature: books concerning the Holocaust including autobiographies, memoirs, academic studies, history and fiction. Jewish Thought & Culture: non-fiction works illuminating Jewish thinking, culture, and the Jewish experience. Yiddish: books in Yiddish or about Yiddish culture; translations from Yiddish (fiction or non-fiction) also considered. The Jury may choose award categories at its discretion, and may elect to forgo awarding a prize in any category if it determines that there is no prize-worthy publication in that category in a given year. Fiction: Gary Barwin, for Yiddish for Pirates (Vintage Canada). Memoir/Biography: Matti Friedman, for Pumpkinflowers: A Soldier's Story (Signal/McClelland & Stewart). Yiddish: Rachel Seelig, for Strangers in Berlin: Modern Jewish Literature Between East and West 1919-1933 (University of Michigan Press). Jewish Thought and Culture: Chantal Ringuet and Gérard Rabinovitch, editors, for Les révolutions de Leonard Cohen (Presses de l'Université du Québec). Scholarship: Joel Hecker, for The Zohar: Pritzker Edition, Vol 11 (Stanford University Press). Fiction: Sigal Samuel, for The Mystics of Mile End (Freehand Books). Memoir/Biography: Howard Akler, for Men of Action (Coach House Press). Yiddish: Helen Mintz, translator, for Vilna, My Vilna: Stories by Abraham Karpinowitz (Syracuse University Press). Jewish Thought and Culture: Julia Creet, Sara R. Horowitz and Amira Bojadzija-Dan, editors, for H.G. Adler: Life, Literature, Legacy (Northwestern University Press). Scholarship: Sarah Phillips Casteel, for Calypso Jews: Jewishness in the Caribbean Literary Imagination (Columbia University Press). Novel: Nora Gold, for Fields of Exile (Dundurn Press). Scholarship: James A. Diamond, for Maimonides and the Shaping of the Jewish Canon (Cambridge University Press). Biography/Memoir: Alison Pick, for Between Gods: A Memoir (Doubleday Canada). Poetry: Robyn Sarah, for My Shoes Are Killing Me (Biblioasis). Short Fiction: Mireille Silcoff, for Chez l’Arabe (House of Anansi). Yiddish: Ruth Panofsky, for The Collected Poems of Miriam Waddington: A Critical Edition (University of Ottawa Press). The Canadian Jewish Literary Awards recognizes the finest books with Jewish themes and subjects by Canadian authors in a variety of genres. It enriches and promotes Canadian Jewish writing and culture, enabling us to better understand our collective past, our shared present, and the world of the future. The Canadian Jewish Literary Awards does more than reward winning authors with a cash prize and a moment in the spotlight. It builds pride, not only in the individuals being honoured, but in the creative achievements that reflect Jewish themes and ideas. Edward Trapunski: Chair, author of three books and winner of an ACTRA Award as best writer. Rona Arato: Award winning children's book author and author of 15 books. Alain Goldschläger: Director of the Holocaust Literature Research Institute and Professor of French at Western University, and former Chair of The NationaI Task Force for Holocaust Education, Remembrance and Research. Andrea Knight: Editor and former co-publisher of the New Jewish Press, the publishing program of the Anne Tanenbaum Centre for Jewish Studies, University of Toronto, and former managing editor of the Azrieli Series of Holocaust Survivor Memoirs. Michael Posner: Award-winning author and playwright and former reporter for the Globe and Mail. What is a Jewish Book? What I’ve learned — and I speak only for myself, not for the whole jury — is that is it possible for a Jewish author to bring a je ne sais quoi, what I would call a Jewish sensibility to her or his writing, regardless of the quantifiable Jewish content. It might be the rhythms of the language, a smattering of Yiddish or Yiddish syntax, a certain sense of humour.